Running a computer repair business in Los Angeles I get asked all the time, am I a Mac or a PC. Now since we service both and are partnered with both Microsoft and Apple, I can honestly say I'm both. I have a PC at my desk, but there are Macs all over the office. I travel with a Macbook Air. I own an iPad. Now while I honestly do appreciate what both platforms have to offer, there's one way the good folks in Cupertino blow Windows away: migrating between computers. 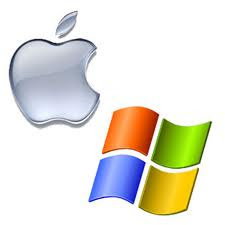 Now a lot of Mac's advantage in this area is because of it's foundation in UNIX and Apple's total control of the software and hardware. Nonetheless, it is by far superior to what's available for you Windows users. Migrating data between Mac's can be done in a number of ways, and I'm going to tell you about a few of them. For starters, you can pluck a hard drive out of one Mac, install it in another, and as long as the Mac OS version on that drive is supported by the Mac you install it in, it should boot up just fine. Good luck trying that with a Windows machine. You can also turn your Mac into a big, very expensive, firewire drive by holding the T (T for Target mode) key down just as the Mac is starting up. If you see the firewire logo on your screen, you did it right. Connect it to the Mac you're migrating to, and run Apple's Migration Utility either during OS X installation or after from the Utilities folder, and watch the magic happen. In no time, all your documents, settings, accounts, and applications will appear on your new Mac just as they appeared on the old one. Not too shabby. Another note about external drives - you can run an entire Mac OS X installation off one. That's something Windows expressly prohibits (although it can be done with varying degrees of success). Just connect a hard drive with Mac OS installed or a Mac in Target Mode, start up your Mac holding the ALT key, and select the volume you'd like to boot off. Comes in really handy for troubleshooting or just transferring files. Again, nothing to even compare with Windows. So while Macs are hardly the infallible deities of computing the brilliant marketing hype would have you believe, in this arena, they have Windows beat. Beat so badly, it's not even a competition. But knowing the good folks up in Redmond, it's only a matter of time before they copy. Because like a wise man once said, if you're going to steal someone's ideas, make sure they're good ones. Next up, I'll be highlighting some great things about Windows machines.